T/Sgt. 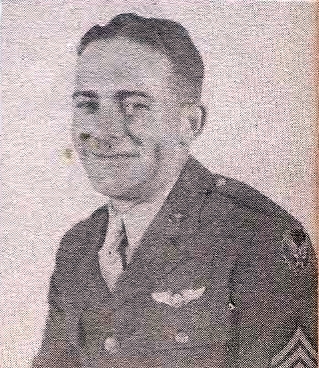 Allen O. Edwards, son of Mrs. John Cummings, Waxahachie, husband of Reva Kirby, Loving. Entered AAC, 1942, trained at Kern Co. Air Base, Cal. Served in Pacific, N. Guinea, Biak, Mindora, Luzon and Ie Shima. Awarded APO with 6 Bronze Stars, Victory, Phil. Lib. with 1 Bronze Sta and ATO Ribbons. Discharged, 1945.